The Gutenberg Teaching Council (GTC), which is in charge of ensuring and promoting the excellence of teaching at Johannes Gutenberg University Mainz (JGU), has awarded its 2018 Gutenberg Teaching Award to Australian economist Professor Geoffrey Brennan. Inaugurated in 2014, the annual Gutenberg Teaching Award comes with an invitation to Mainz for a lecture and a workshop and is worth EUR 10,000. With this year's award, JGU acknowledges Brennan's development and direction of innovative interdisciplinary study programs combining the in many respects very different fields of philosophy, political science, and economics (PPE) as well as his lifelong commitment to academic teaching. "In conceding the 2018 Gutenberg Teaching Award to Geoffrey Brennan, we honor an academic who deserves the greatest praise for the development of attractive study programs transcending disciplinary boundaries and for his long-standing dedication to the formation of students and junior researchers, internationally and even all the way to the JGU itself", stated Professor Georg Krausch, President of Johannes Gutenberg University Mainz. "In the past, Professor Brennan, an academic of the highest international standing, has more than once offered talks and workshops for students at JGU whenever he spent some days around here. We very much hope that he will continue to give us the pleasure to host him again in the future, to the benefit of our students." 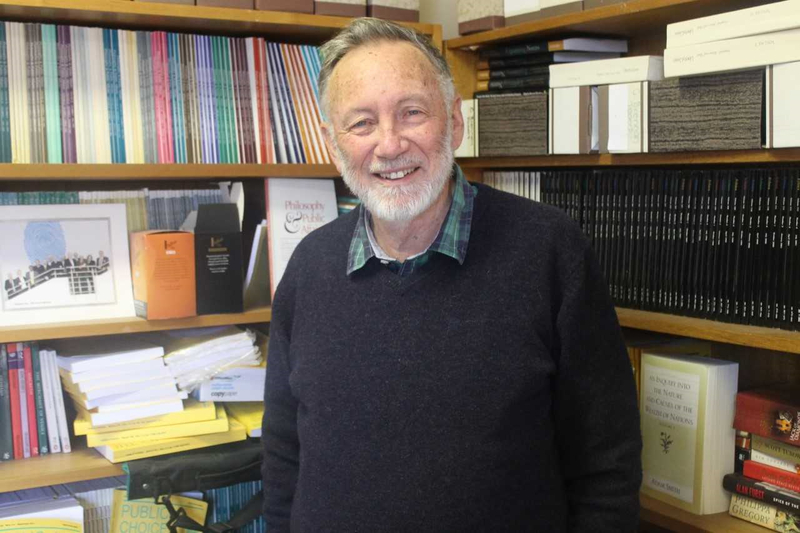 Geoffrey Brennan, born in 1944, recently retired as Professor of the Australian National University (ANU) in Canberra, of Duke University in Durham, North Carolina, and of the University of North Carolina (UNC) in Chapel Hill. He has gained international esteem for his exceptional dedication to teaching, especially for designing and directing PPE Bachelor's programs. From 2005 to 2017, he first developed and later was in charge of a joint PPE program at Duke and UNC, two of the most prestigious universities in the USA. "This alone is very remarkable indeed", said Professor Andreas Hildebrandt, Director of the JGU Gutenberg Teaching Council. "Geoffrey Brennan is an outstanding researcher of international acclaim and established his reputation as director of various highly renowned research institutes. It is very rare and absolutely exemplary that such an academic personality also dedicates a large amount of time and energy, consistently over many years, to the promotion of excellence in undergraduate teaching." After establishing the PPE program at universities in the USA, Brennan accomplished a similar feat, under different circumstances, at ANU, his home university in Australia. "These PPE programs have been extremely successful, not least with international students. We hope that Professor Brennan will reveal some of the secrets of this success to us when he visits Mainz next year", added Hildebrandt. Geoffrey Brennan will come to Mainz University to receive his Gutenberg Teaching Award in the first half of 2019. Previous recipients of the Gutenberg Teaching Award have been, among others, the Botswanan theologian Professor Musa Dube, the US-American physicist and Nobel Prize winner Professor Carl Wieman, and Professor Masaaki Suzuki, director and conductor of the famous Bach Collegium Japan. The Gutenberg Teaching Council was established in 2011 as one of three JGU excellence centers to promote teaching, research, and young researchers at Mainz University.